The Relentless Reader: The Literary Blog Hop ~ Giveaway! The Literary Blog Hop ~ Giveaway! 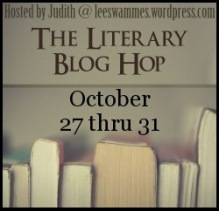 The Literary Blog Hop is hosted by Judith at Leeswammes. You'll definitely want to check it out because there are a lot of participants and a lot of prizes to be won! 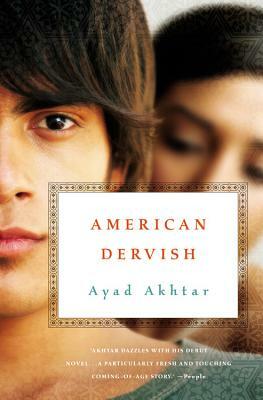 I'm giving away a brand spanking new copy of American Dervish by Ayad Akhtar. It's a fantastic read! As a bonus I'll throw in a ARC of Buddy by Brian McGrory. It's not exactly literary, but it is sweet and funny. Good luck! Make sure to head on over to Leeswamme's blog to see the other bloggers participating in this event! How a rooster made me a man? Lol Awesome subtitle! Thanks for giveaway! American Dervish sounds really interesting--just checked it out on goodreads. Thanks for the giveaway! I've heard a lot about both these books, thanks for the great giveaway! Please count me in, we're in the middle of a move and I would love a distraction! Thanks for the lovely giveaway! Nice to discover your blog too. I'd love to read this book, I've been eyeing it for ages! Thanks for the giveaway, Jennifer! This book looks great and the bonus book looks like a lot of fun! Thanks for the give away, I would love to win! This book sounds extremely interesting! Great books!! Thanks for the giveaway! Great giveaway! Crossing my fingers for the win! I have been wanting to read American Dervish since it was released! What a good idea for a giveaway. Thanks for the giveaway, Jennifer! American Dervish sounds really good! We have a large population of people of Middle Eastern heritage in my area of Michigan, which includes my cousin, whose father is Pakistani. Growing up so close to this culture, I find it so interesting and beautiful. Everything looks good here!! thanks for the chance! Thanks for the giveaway Jennifer! I am a brand new follower and subscriber to your Blog. I want to read both books.I appreciate the chance for them to come to me. Thank you sharing this awesome giveaway. Great Giveaway - love your blog. I'm especially glad you've chosen to give a way of American Dervish since it's been on my TBR list for a while now! I would LOVE to win a copy!! An excellent choice. Thanks for the giveaway. There should be more literary fiction giveaways like this one out there!